Closed for construction, quite big scale. so cannot say much about the park. Terrific place to take children on a fall day for the swings and slide. My daughter did not want to leave! It can get crowded at times. Currently under construction, not open to the public. 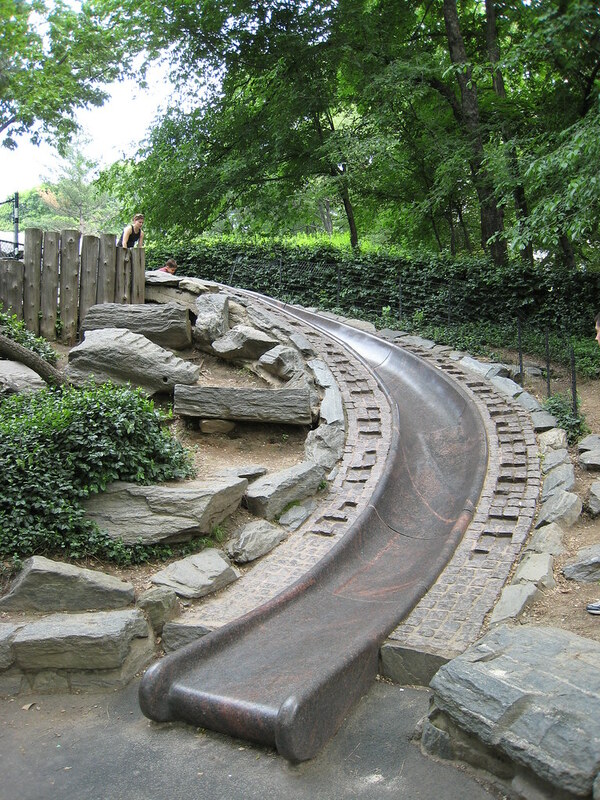 One of my favorite playgrounds in Central Park. It's has a secret garden feeling to it. It's low-key and "hidden" to some degree. It has as delightful gated entrance and a slide built into the bedrock. Bucket swings for toddlers, a water spray future, a storybook stone bridge, picnic area and a massive sand pit. 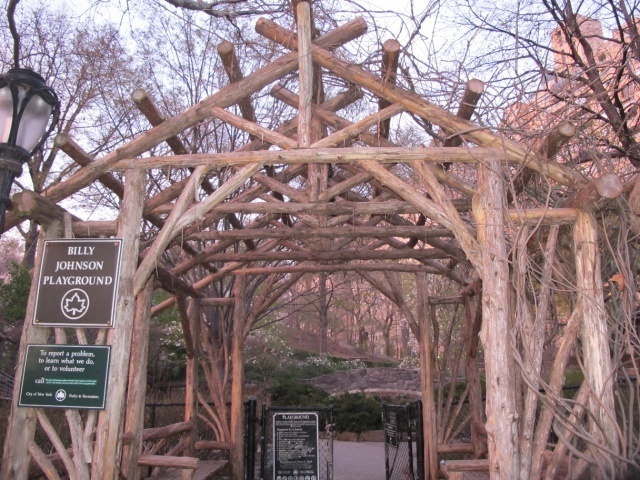 One of Central Park's magical spots.